Tonight’s bedtime prayers with the kids had a good “teachable moment”. I prayed that the refugee situation would end well, with all of the displaced and frightened people having their needs met. My inquisitive kids asked what refugees are, and I explained in simple terms that didn’t involve discussing terrorism, Syrian politics, or Islamic extremism. This led to some muddled (but earnest) questions from Lily (4.5), who tried to connect everything to Star Wars or Doctor Who. So, I explained the situation using elements of Star Wars, connecting the Empire with terrorists, and I must have used the word parable, because I then had to explain what one was. So, I paraphrased for them the parable of the Good Samaritan. I connected the robbed and beaten man with the refugees, and the men who wouldn’t help – and should have known God wanted them to do – with those too afraid or hateful to welcome refugees into their country. I think they understood. As a side benefit, Alex (7) made a connection between kids at school who dislike him because of the color of his skin and how poorly Jews thought of and treated Samaritans. All in all, it was a nice parenting win that brought an otherwise frustrating day to a good end. I need more moments like these and to learn how to cherish them when parenting is hard. Recently, my oldest child did something that shocked and moved me. I had walked into the living room and found something out of place that my kids had no permission to touch. Alex (nearly 7) was standing there when I discovered the misdeed. I got disproportionately angry, probably because of a lot of recent failures to listen to and follow instructions, and I gave him a hard “Gibbs slap“. Alex then informed me that he was innocent, and that Joel was the perpetrator. 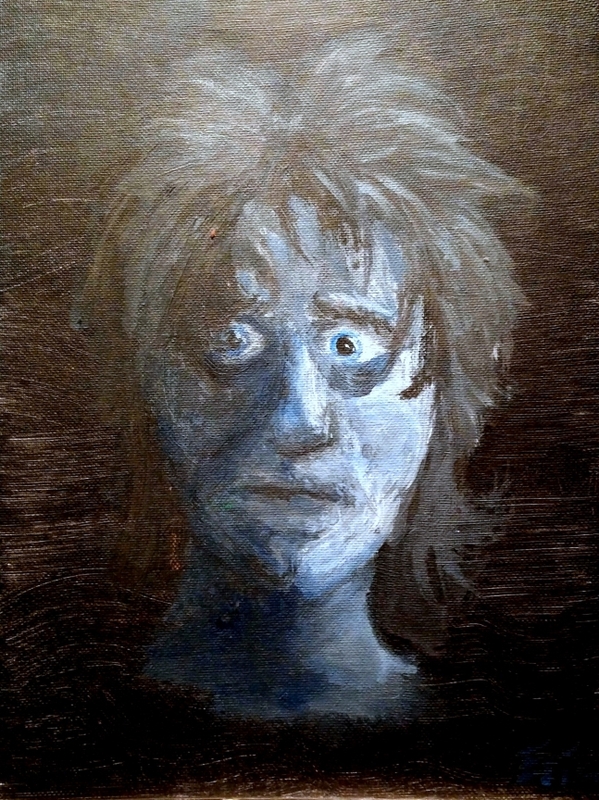 I painted this self-portrait about 18 years ago in the midst of one of my night terrors. The title of this post is adapted from a Harlan Ellison short story called “I Have No Mouth And I Must Scream”. It’s a minimally edited amalgamation of thoughts I wrote in streams of consciousness at 4AM on June 27 and 3:30 AM on July 2 (with a few minor additions). This is a very personal post, because it exposes some of my struggles with anxiety and depression. Mental health issues run through both sides of my family, and I’ve dealt with them to on and off for most of my life. I wasn’t diagnosed until 2002 (when I was 25), and I was only treated with counseling and medication briefly. I’ve been in a rough spot lately, and I’ve thought about seeking treatment. The commitments in my life make finding the time for therapy/counseling nigh unto impossible, though, and I’m highly skeptical of psychologists anyway. I doubt any competent doctor would be willing to treat me with medication alone, which would be the ideal solution, IMHO. If it can apply to business, why not parenting? While packing to move (We bought a house! Yay! ), I found my copy of “If God Be With Us: The Maxims of St. Philip Neri“. As I flipped through it, skimming through the daily bits of wisdom, I noticed a few that could be applied to parenting. Granted, the few recorded statements of Neri (of which most were burned at his request) chiefly concerned with fellow clergy or young men discerning that vocation. 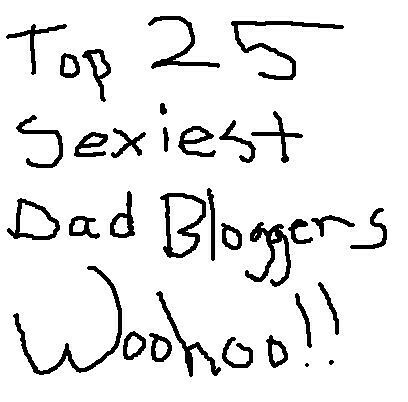 However, I think with just a little editorial license some of his advice can be applied by faithful parents.